When I decided I was moving to Birmingham, I googled environmental organisations in Birmingham and BFOE came up. I had heard of Friends of the Earth before and thought it an interesting organisation that dealt with issues I feel passionate about. I applied on the website and have volunteered weekly since then. I have helped out with different things like social media, writing blogs and articles and designing posters. 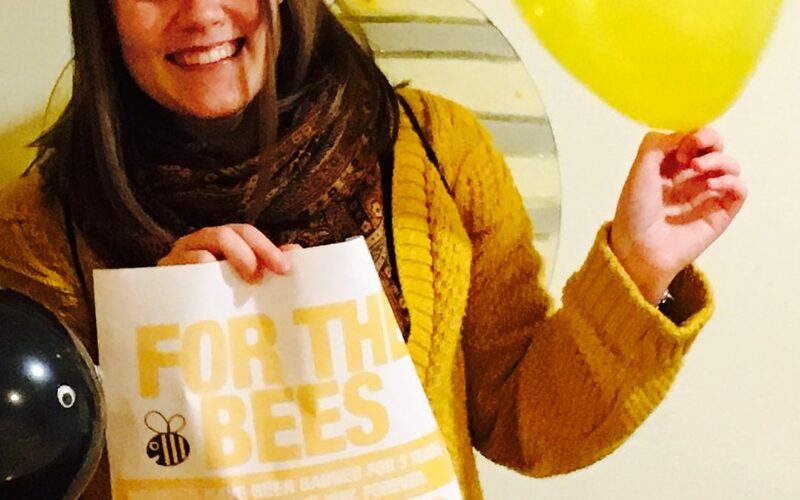 Recently I helped out with the HappyBeeWeek campaign. Climate change. Since I first heard about it in school, it has been a part of my life. I have devoted a great deal of my time to raise awareness about it. I went to COP15 in Copenhagen and joined the demonstrations. The Arctic is unusually warm at this time of year and my town is facing yet another green Christmas. Things are changing and it is important to remember those who are really suffering from the effects of climate change right now. And we really need to work together across all levels in the society to address this issue. Walk/cycle to work/school/your friend’s house. It is better for the environment, it is better for your health and it is better for your economy. It’s a win, win, win.